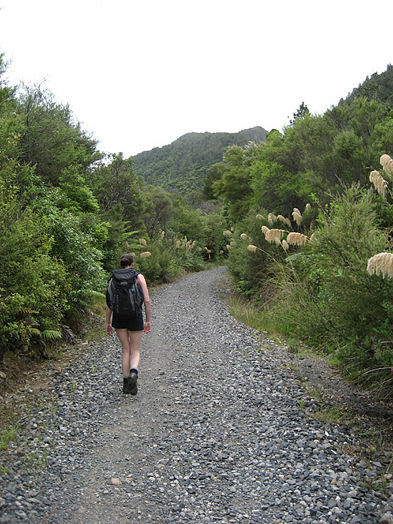 A daywalk up the Kauri Trail to bag The Pinnacles offers a combination of interesting history, a precarious summit, and a good introduction New Zealand tramping. 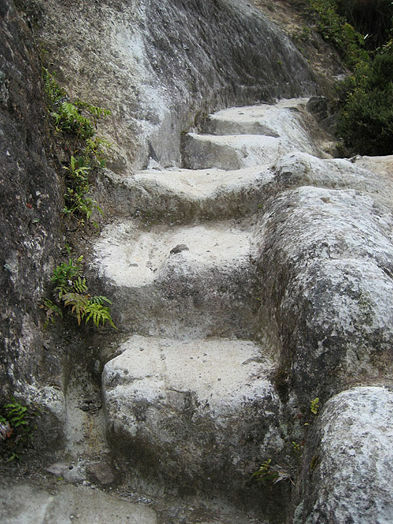 The track is generally very well maintained and constructed, and although the addition of steps has removed much of the final scramble to the summit, there is still a tricky section of ladders at the very end. 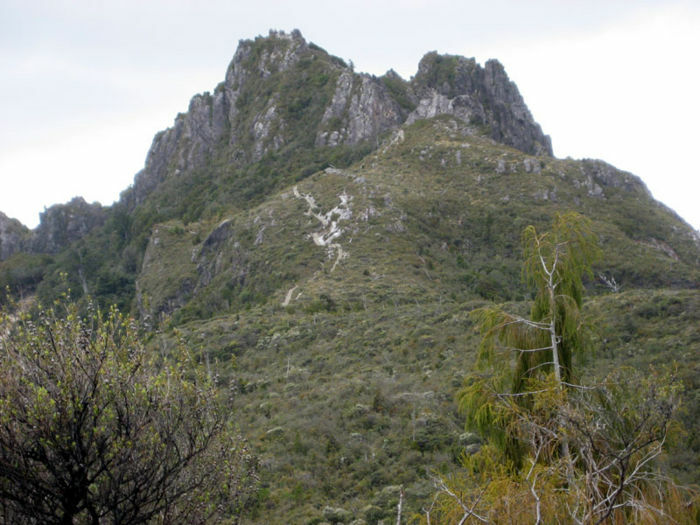 It’s proximity to Auckland, Hamilton, and Tauranga, make The Pinnacles an excellent weekend peak bagging trip for almost 50% of New Zealand’s population. 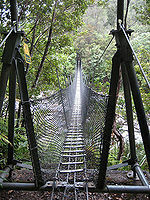 About 2 km south of the main Thames town centre, take the turnoff to the Kauaeranga Valley road. After about 16km of narrow and winding road, first through farmland, and then alongside the Kauaeranga River, you’ll reach the end of the road and the carpark. You’ll pass many DOC campsites on the way up the valley, and you might also want to stop at the DOC office on your way in. Park at the very end of Kauaeranga Valley Road in the carpark by Trestle View campground. Start walking from the carpark along the gravel road. Eventually you will come to a swing bridge. 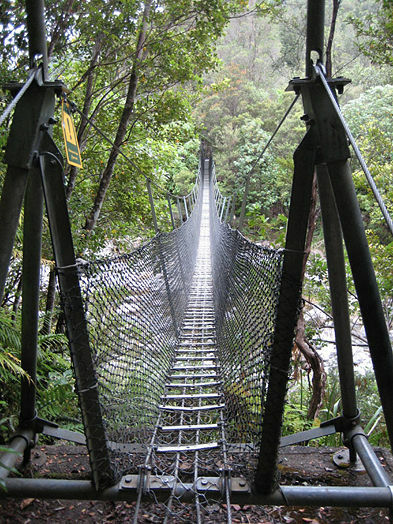 Cross the bridge over the river and follow the track on the other side of the river. The track is well gravelled and gradually climbs upward. There are lots of Nikau Palms on the sides of the track and the track is well formed and marked. The track will branch off to Moss Creek and Webb Creek. 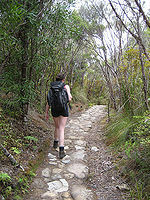 Follow the Webb Creek Track to the Hydro Camp. The track is again good and along the way are a series of steps carved into the rock in past times for the pack horses to go up. The Hydro Camp clearing makes a good place to stop for quick snack. 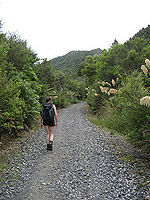 After the Hydro Camp, carry on toward the Pinnacles Hut. The track gently undulates upwards until you reach the hut. 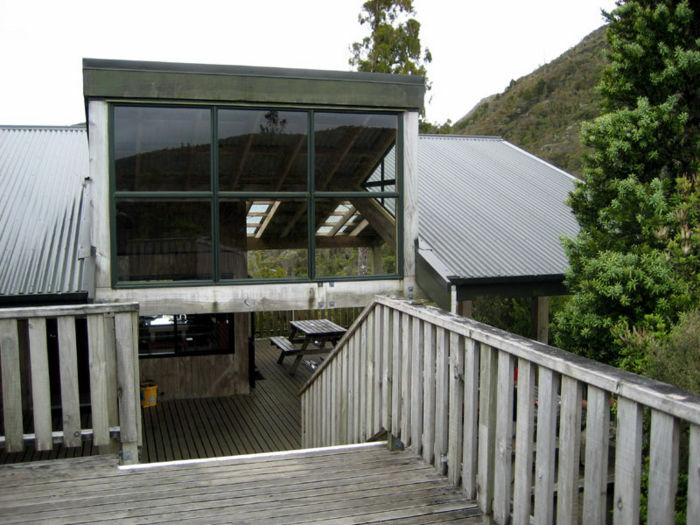 The hut sleeps about 80, and people often come and stay overnight in it and make a weekend of climbing the Pinnacles. From the hut, carry on up the track toward the Pinnacles. When we first did this track in 2001, there had been some erosion, and the climb to the top was a bit of a scramble in places. 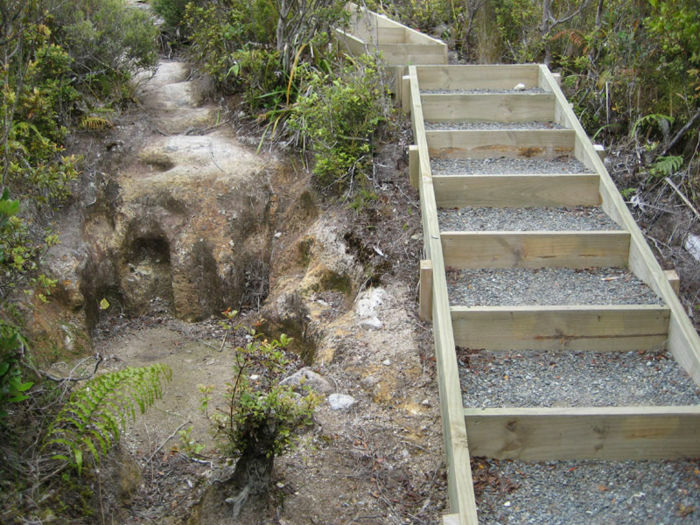 However in 2007 the track had been upgraded, and quite a few steps put in, making the walk a lot easier. However, there are still a few ladders to negotiate to get to the top. Allow up to 4 hours to get to the summit from the roadend. 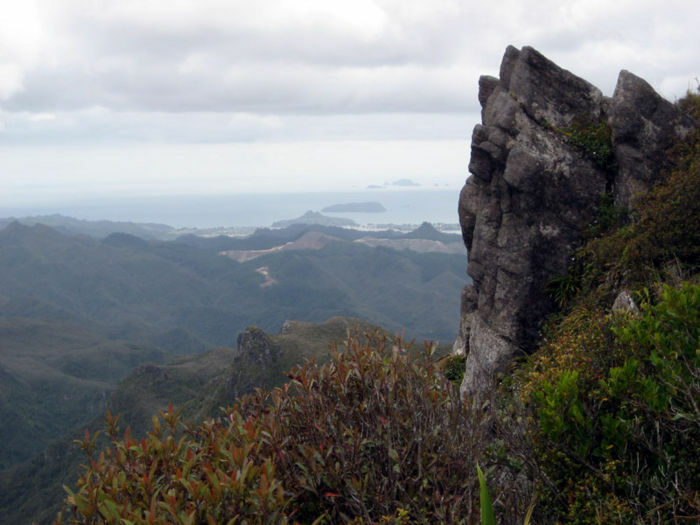 At the top there are great views, and it is possible to see the east and west coasts of the Coromandel Peninsula. Return via the way you came for the quickest way down (2-3 hours). Alternatively you can take the Billy Goat track down from Hydro Camp (this adds an extra hour on the way down – thus 4 hours down). 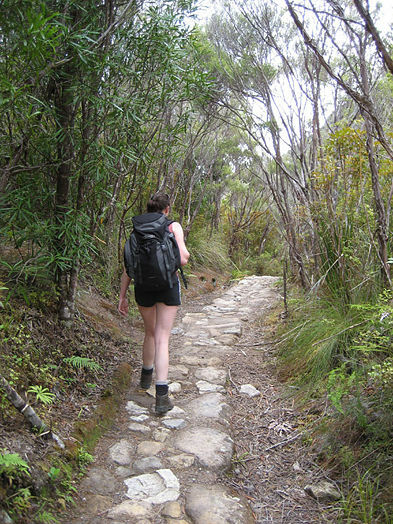 Or if you want to take a day or two longer, return via Moss Creek (turn-off at the Pinnacles Hut), camping along the way.